Genre: WRPG. Other versions: X360; PC. 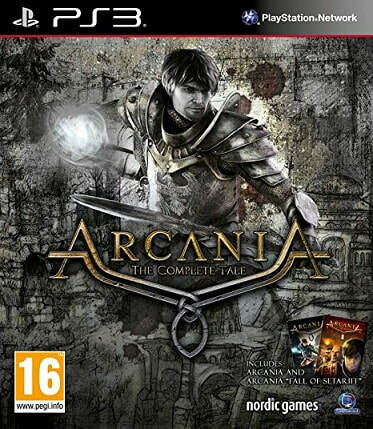 Arcania, the fourth Gothic game, marked the first instalment of the WRPG series to make an appearance on a home console, of any sort. It did so three years after its original PC release, to limited fanfare, and in many respects, it's easy to see why. With series creator Piranha Bytes no longer at the helm, Arcania feels thematically uninspired, lacking polish or personality. The game engine is particularly ill-suited to the hardware, and as a result, appears technically antiquated. Not surprisingly, it's very similar to Piranha Bytes' other treasure-chasing western RPG Risen. 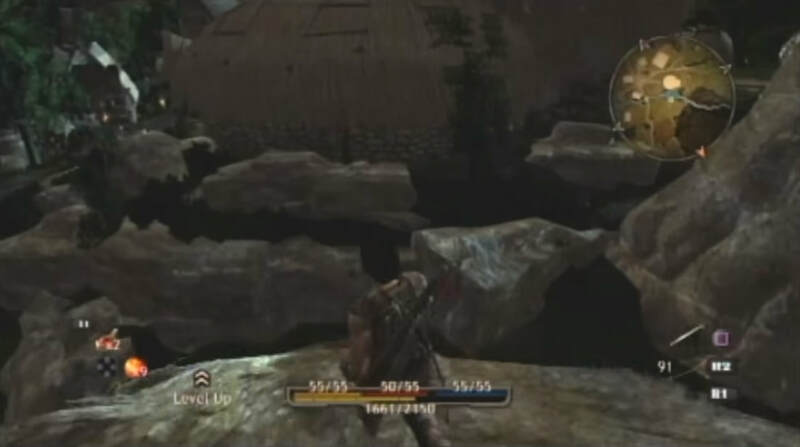 So similar in fact, that they share a whole hosts of strengths and weaknesses, even specific to their PS3 ports. They have plenty in common; nautical-flavoured, exploration-driven third-person adventuring, wonky controls, suspect graphics and bonkers anti-gravity jumps. 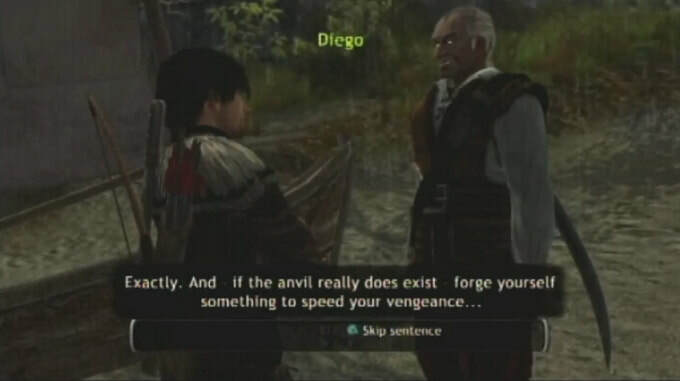 Indeed, if you've sampled Risen 2: Dark Waters, then you'll be instantly at home with the manner in which the unnamed central protagonist moves, interacts and fights. While the Risen games were technical calamities in their PS3 forms, Arcania is similarly low-rent, though over the course of the adventure, copes at least marginally better. Landscapes are unspectacular and susceptible, on occasions, to severe fogging, and sometimes it rains indoors. But for the most part, castle facades and scenic viewpoints hold together and the NPCs look okay. There's a bit of versatility to the combat, as the player can choose between single or two-handed weapons, a crossbow or good old-fashioned bow 'n' arrow (pleasingly, their release mechanisms are just slightly different), and even a trio of elemental magic spells. Combat offers a robust challenge and for the majority of the adventure, functions moderately well. You'll get nowhere without learning to time blows, and to evade those of your enemies, and its nice to play a game that tests the player in this regard. 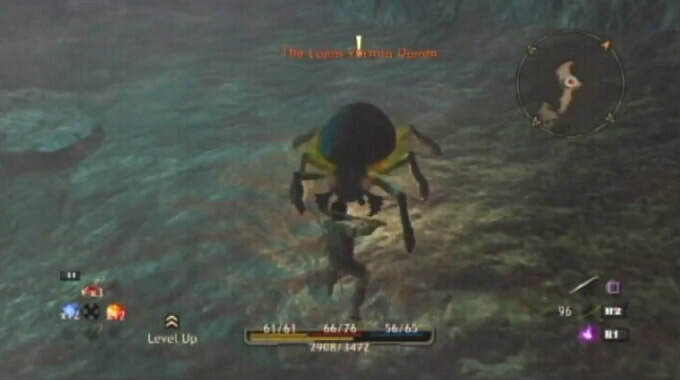 The frame-rate lags from time-to-time, something that doesn't cripple response times quite as ruinously as in Risen 2, though as you approach the business end of the game, Arcania's legs start to fail, with the last boss and encounters leading up to it proving arduous thanks to the staccato update. Enemies also develop a highly unfortunate habit of impromptu teleportation, jumping from a relatively safe distance, to right next to you, in one frame. Diving rolls are (literally) hit and miss, with enemies exploiting poor collision detection to render huge damage with attacks that appear not to land. There's also an unpleasant proclivity for getting stuck in scenery. A bizarre, high-speed sliding motion occasionally afflicts the hero, whereby he takes on the persona of a possessed snowboarder, a pantomime that invariably ends with him dead at the bottom of a ravine. On occasions, Arcania suddenly cuts away from the action to go to a loading screen, and when it returns, the central protagonist isn't always where you left him. Sometimes he's stuck in a wall. So far, so Risen then. Where Arcania loses ground on its nautical cousin is in its undernourished characters and storyline, less interesting locales and relative lack of variety. It's a shame, as things seem promising early on. There's a smattering of hamlets, spooky caves and NPCs to tickle your sense of adventure. By around halfway though, it becomes clear that Arcania is desperately short on ideas. Much of the latter part of the game is spent trudging around samey temples, caves and woodland paths, with no great sense of incentive. You'll still discover the odd NPC, but the number of interactions and quests is noticeably reduced. Upgrading your character is satisfying enough, but there's no means of solving missions through diplomacy, stealth or alternative means, like in something like Fallout 3. There's some rudimentary collection challenges but these are poorly devised. Finding statues or relics is difficult thanks to their remote placement and unremarkable (and therefore easily missable) appearance. With no means of identifying them individually, it's quite possible to end up with one or two left missing out of ninety, with no easy way of tracking them down. On the subject of awkwardness, the game's fast travel is a complete farce. Each teleporter links only to one other, so backtracking of any sort takes an age. More frustrating still if you are chasing trophies, certain sections become strangely difficult to return to, most notably a closed gate late on that requires a twenty minute walk around most of the map just to return to the other side of it. Completely needless, and a catalogue of small moments like this serve to dampen the enjoyment. Whilst the visuals are lacklustre, the menus prove functional and the equipment customisation intuitive, allowing you to assign a mixture of spells, runes and potions to the D-Pad for easy usage in battle. Sound is a real mixed-bag. A bravely grandiose musical score tries its hardest to inject a bit of pep into proceedings, but is utterly undermined by the sometimes mediocre, sometimes downright awful dialogue. Amidst the usual clunky phrasing and needlessly liberal use of ellipses (“We will come back with men... and shovels”) there's a host of performances that would seem melodramatic in panto. Perhaps the biggest tragedy is saved for the pronunciations of Knut ('Nut', according to the world of Arcania), whilst some characters can't even agree on a name or place within the same conversation. Arcania's strongest suit, perhaps inevitably, lies in its lifespan. Sure, it's very much quantity over quality, but that shouldn't discount from the fact you're getting plenty of adventure for your money. If Arcania manages to retain your interest (a big 'if'), Black Forest Games have included the Fall of Setarrif add-on pack for good measure. Whilst never a challenger to Fallout 3 even in its preferred PC setting, Arcania had been left even further behind by 2013, and whilst its decent-sized fantasy world will be of interest to fans of the role-playing genre, it ultimately doesn't have the personality or the versatility of design to match its competition. Frustrating design decisions and a poor game engine mean the experience, whilst enjoyable in glimpses, is generally underwhelming. "Arcania ultimately doesn't have the personality or the versatility to match its competition. Frustrating design decisions and a poor game engine mean the experience, whilst enjoyable in glimpses, is generally underwhelming."